Four out of five baby boomers own a home today. And while many of them flocked to California over the past decades for good job opportunites, many studies show that the majority of them are selling their home and moving out of state for retirement. Before you begin costly home repairs and putting a sign up in your yard, consider giving us a call. We can give you a no obligation cash offer quickly. We pay all closing costs and fees and you tell us when you are ready to move. Whether you want to move next week or in six months, we will work with your time frame and help make the home selling process as easy as possible. We understand how important planning for your retirement is to you and that is why we give you an offer that is guaranteed. No need to wait months for an offer with a listing agent. 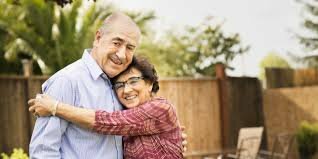 We can give you an offer today, giving you more time to focus on what is really important to you and let you begin to live that retired life. Have a rental property you want to sell before you move out of state? No Problem! We can even help get out destructive tenants or buy the home occupied. Wonder how much it is costing you to hold a home in Sacramento? Read our blog post that breaks down the cost. Call us today at 916-496-3737. We will ask you a few questions about your home, give you an offer and then it’s up to you. There is no obligation to get an offer from us. We won’t bug you with a ton of phone calls or letters. I look forward to hearing from you soon. Enjoy your retirement!